When the sun comes out we naturally want to be outside with our dogs. It is highly important to remember though, that dogs cannot sweat to cool as we do. Their lack of ability to cool down leaves the dog highly susceptible to heat stroke. This vulnerability in hot weather is exactly why we believe the Ruffwear Swamp Cooler is necessary canine equipment for every active dog. By dipping the swamp cooling vest in cold water, ringing it out and attaching it to your dog you will be helping him to keep cool throughout your hike. Designed to utilize evaporative cooling the Swamp Cooler will keep your dog comfortable and work against overheating as you explore. Read more about: Do dog cooling products actually work? 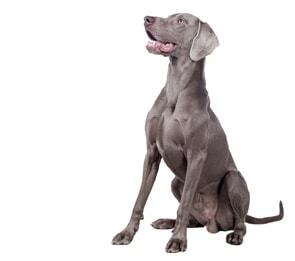 The Swamp cooler is also good to use on dogs that are becoming overheated because it naturally introduces a cooling system which performs better than wet towels and is far better for the dog than complete immersion as an overheating dog immersed in water can suffer from shock. Therefore the Cooler is a great part of every canine first aid kit. When choosing between sizes take the bigger Ruffwear Swamp Cooler for more coverage. 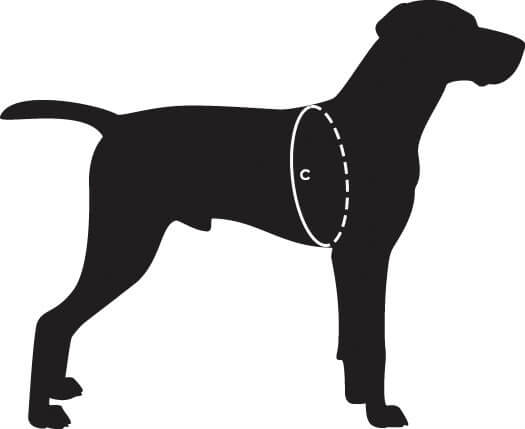 Measure your dog's girth, around the widest part of the rib cage. See Videos for more info.